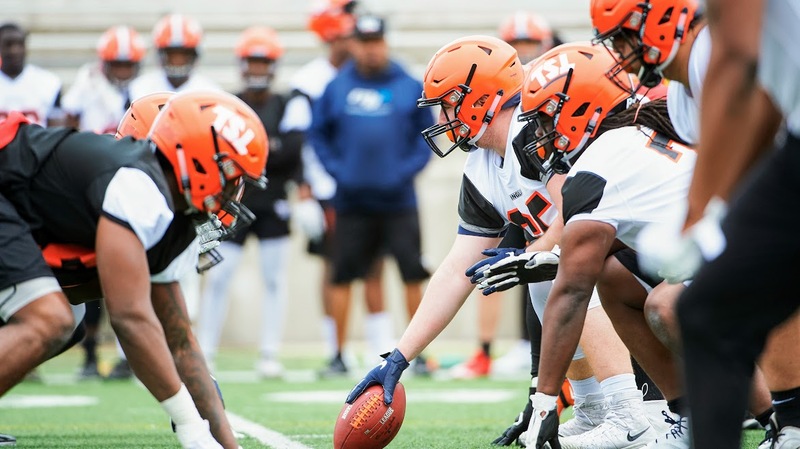 The 2019 failure of the AAF and the 2020 return of the XFL may have caused most to forget about The Spring League, a four-team, short-season endeavor that started at The Greenbrier in West Virginia and has since moved to Texas. Last year, Johnny Manziel launched his “Comeback SZN” in that league. This year, the league has quietly returned, with a fascinating overtime concept that will definitely make some noise, if it ever catches on. It’s basically what we proposed two years ago, when the NFL was in the process of cutting regular-season overtime from 15 minutes to 10: A two-point conversion shootout, with one offense and the opposing defense and the other offense and opposing defense on separate ends of the field, going back and forth, one snap after another, through multiple rounds. As proposed, the shootout would have three rounds before converting (if still tied) to one try each until someone has the lead. The Spring League will use five rounds, before presumably ending in a tie. And here’s where it gets even more interesting. The Spring League has a partnership with the XFL. So maybe the XFL will use this approach for overtime. And maybe it will prove to be far more exciting than standard overtime. And maybe the NFL will set aside the pride that comes from not using ideas conceived by others and adopt it. Yeah, that all sounded pretty good until the last part. No matter how compelling a two-point conversion shootout becomes, the NFL will never adopt it. And they can feel free to prove me wrong. QB Jerod Evans is Game 2’s Player of the Game!